in Leland, Wilmington and surrounding areas"
Your pipes will flow free and clear after this comprehensive cleaning. Get relief from clogged drains with sewer an efficient drain cleaning method such as sewer line cabling. We provide residential and commercial plumbing repair, including drain cleaning. Video inspections are the most accurate way to locate and assess sewer line issues. Looking for a Reliable Plumber in Leland, Wilmington or Carolina Beach, NC? If you own a home or small business, you know that plumbing problems are inevitable. Debris builds up in your pipes over time—things like hair, soap and food. Drain Cleaning is a necessary evil! That’s why you need to have a dependable plumber on call. 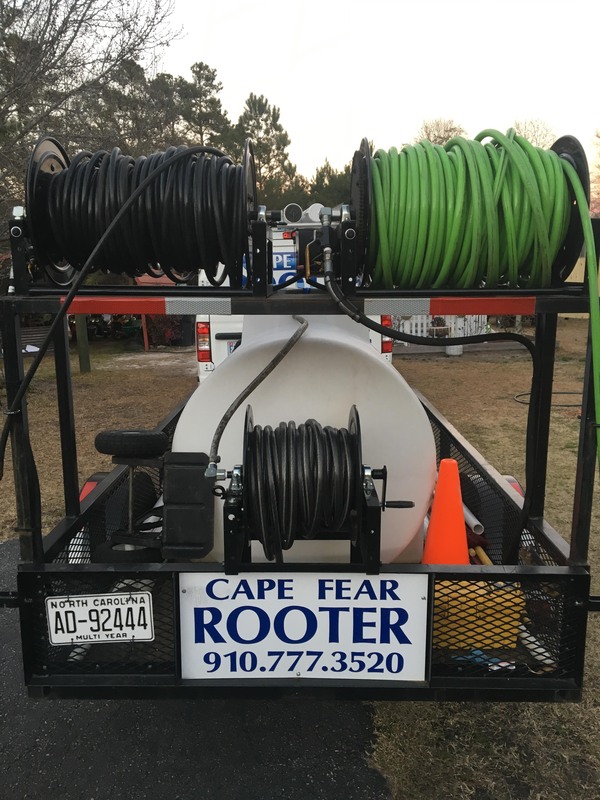 The Original Cape Fear Rooter Inc. is a family owned business serving the Leland and Wilmington, North Carolina region. Our team works on both commercial and residential plumbing jobs. Are you dealing with plumbing problems at your home or workplace? Don’t delay. Call Cape Fear Rooter today to schedule an appointment. Do you have severe buildup in your pipes? Is your sink or tub slow to drain no matter what you do? It’s time to call the hydro jetting pros. 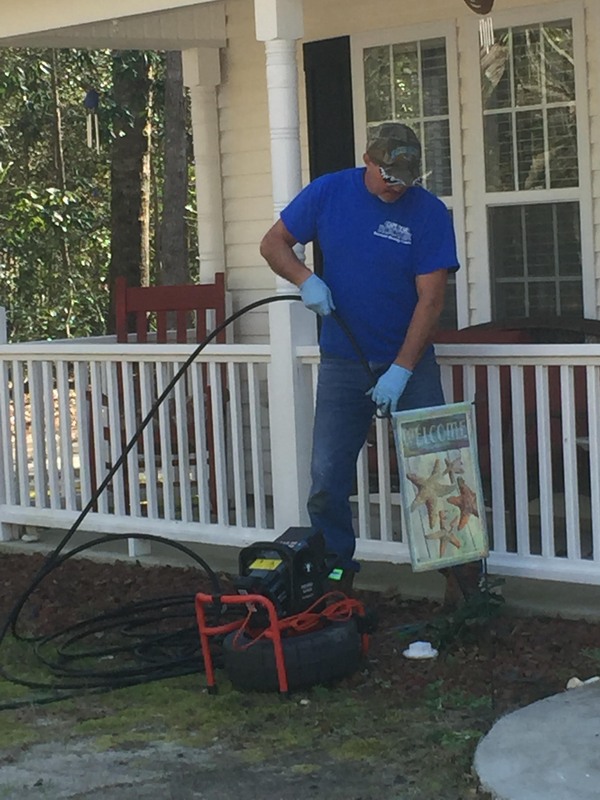 The Cape Fear Rooter team specializes in hydro jetting services for your home or workplace. We use high pressure water jets to clear stubborn dirt and debris from your pipes. Sometimes a cable just won’t cut it. If the water in your sewer line needs a push, call Cape Fear Rooter in Leland and Wilmington, NC to find out about hydro jetting. Don't settle for a temporary solution. Keep your drains flowing clear, month after month. At Cape Fear Rooter, drain cleaning is our specialty. You can rely on us to get your drains clean and keep them clear. We’re not interested in making a short-term fix to your plumbing problem. We offer specialty services to get to the root of the issue, such as hydro jetting, sewer line cabling and video inspection. We’ll locate issues before they become serious problems, and we use professional-grade equipment to give your drains and pipes a deep and thorough clean. Has your water heater exceeded it's lifespan and need to be replaced? Or maybe something just needs to be fixed by a water heater repair professional. Instead of playing a guessing game, contact an experienced water heater repair technician for your water heater repair or water heater replacement needs. The experienced professionals at The Original Cape Fear Rooter in Wilmington will assess your water heater and determine the best option for you. Contact The Original Cape Fear Rooter in Wilmington to schedule your water heater repair or water heater replacement today. Copyright © 2019 The Original Cape Fear Rooter Inc., all rights reserved.